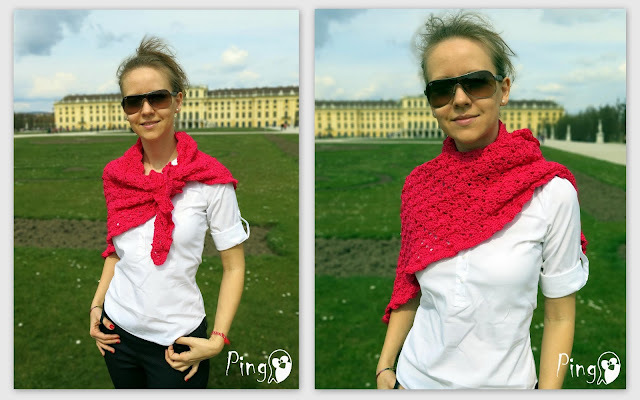 Today I released my latest crochet pattern for gorgeous summer shawl. I really love it! :o) I wanted to make one since a few months. It took me some time to chose the right yarn and to design the pattern but it worth it. It is an intermediate crochet pattern to work up that can be made with particularly any mid-weight yarn you want. You can wear it in many ways and it is actually perfect for any season. The crochet pattern is already available on Pingo's shops Etsy and Ravelry.